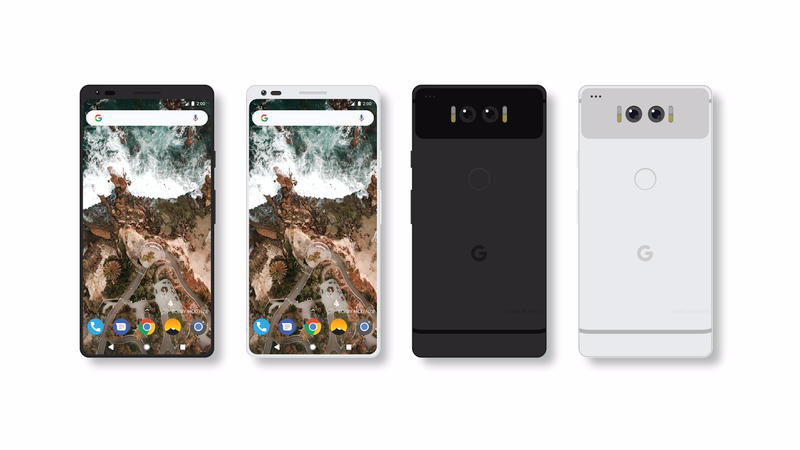 Google will unveil its third-generation Pixel series this fall, and the first reliable rumor is already swirling well ahead of when we expect Google to unveil its new Pixel 3 smartphones. However, there’s no word on whether the Pixel 3 phones will come with a notch like the iPhone X. Copying the iPhone X’s design is a major design trend among Android vendors this year, and Google’s Android P will support notches. Furthermore, Google just revealed that Android P will bring iPhone X-like gestures to all Android handsets. It’s likely Pixel 3 models will feature all-screen designs. After all, Google did say that’s why it killed the 3.5mm headphone jack last year, but it’ll be a while until we see an actual Pixel 3 image leak to know for sure. Evan Blass just posted details about Google’s Pixel 3 fall event on Twitter. 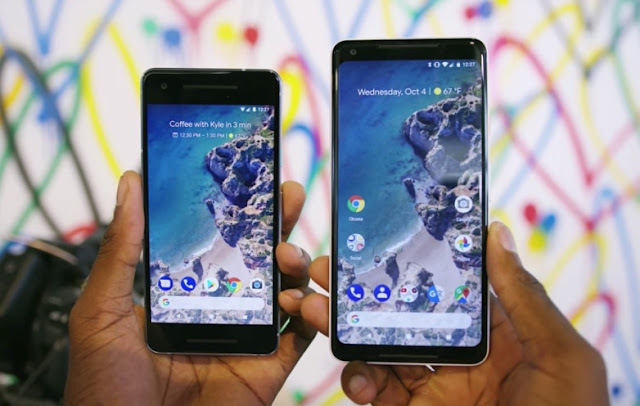 Google will introduce plenty of Pixel-branded hardware during the event, including the Pixel 3, the Pixel 3 XL, second-generation Pixel Buds earphones, and even a Pixel Watch. Although it might seem like Google has given up on smartwatches, the company has recently rebranded Android Wear to Wear OS, a move that indicates it’s not done trying to come up with alternatives to the popular Apple Watch. Given Google’s massive interest in making its own hardware, coming up with a smartwatch of its own is the next logical step in trying to replicate Apple’s hardware efforts. Google usually holds its Pixel events in early October, with the phones hitting stores a couple of weeks after that. In other words, there’s plenty of time for all the Pixel 3 and Pixel Watch details to leak, now that Blass has opened the floodgates. It goes without doubt that every manufacturer is currently looking forward to make use of full screen displays on at-least their flagship devices, and Google’s upcoming Pixel phone is also expected to catch on this trend. A reddit user has put together a mockup of the upcoming Pixel phone to give us a glimpse of what the smartphone could look like if it received a near bezel-less display. Unlike the Mi Mix and the Aquos Crystal from Sharp, this rendered image of the Pixel 2 features only a top bezel with the rest of the of the screen being near bezel-less. And if Google decides to get on board the dual camera train, we may see a setup similar to what is shown above. The Pixel and Pixel XL are great phones, no doubt about that, but HTC may not have put in enough effort to rival that of Samsung, LG and Essential’s flagships. The Taiwanese manufacturers recent flagship launch, HTC U11, also didn’t feature better screen-to-body ratio. This makes us wonder if the next Pixel phones, which are rumored to be manufactured by HTC again, would get full screen display treatment or not. We have high hopes for HTC though and considering that major OEMs like Samsung and LG have already taken the lead in this segment, there’s a good chance of a bezel-less Pixel 2 becoming a reality. LG, TCL and Coolpad started competing for the Pixel 3 back in March and from the look of things, LG seems to have caught Google’s attention for the device, which is slated for a 2018 release.